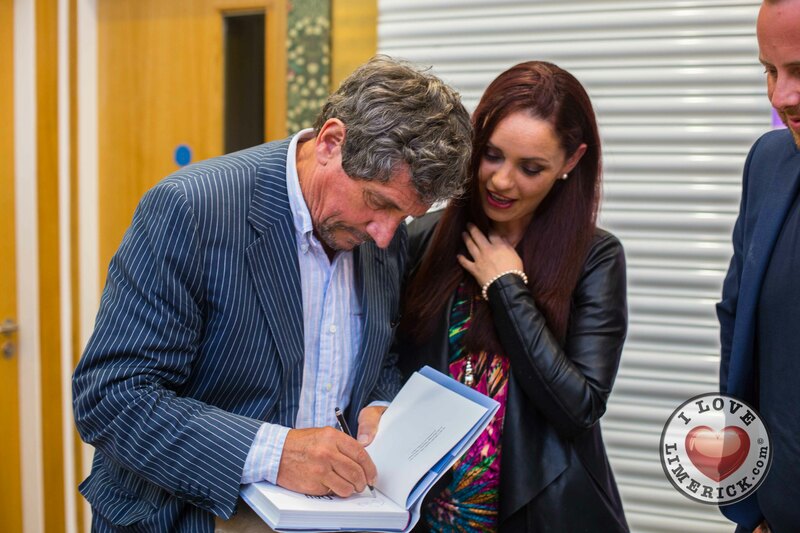 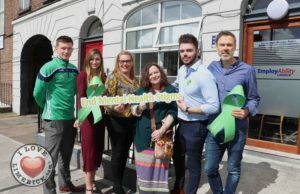 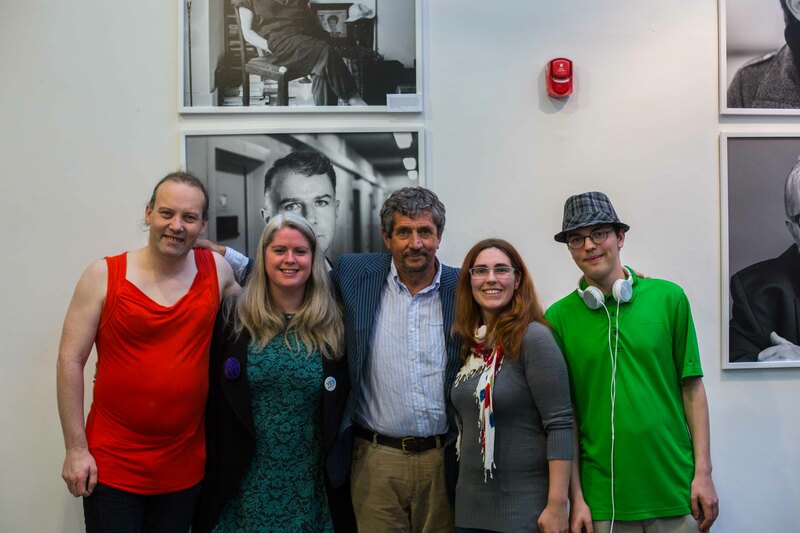 Journalist and author, Charlie Bird with the Limerick participants for ‘A Day in May’. 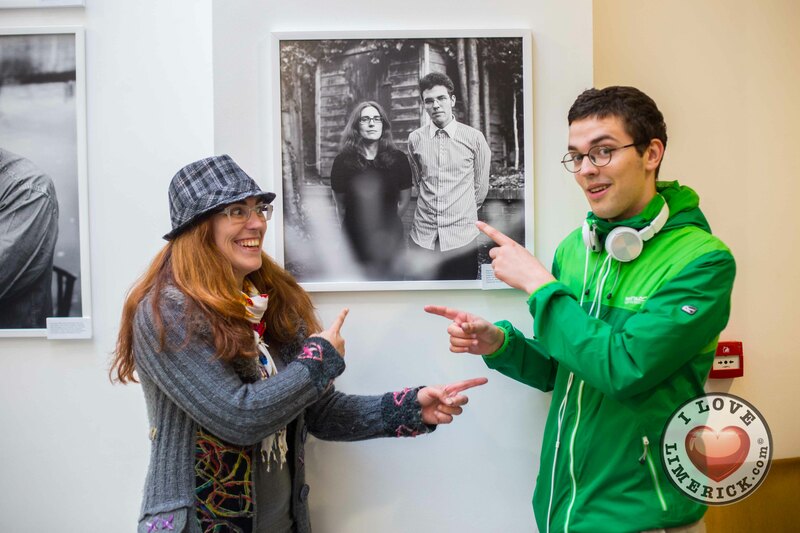 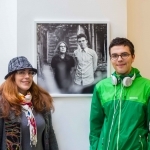 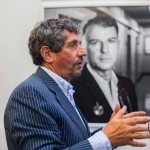 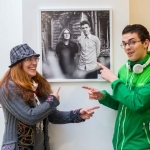 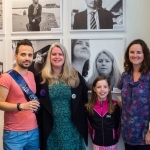 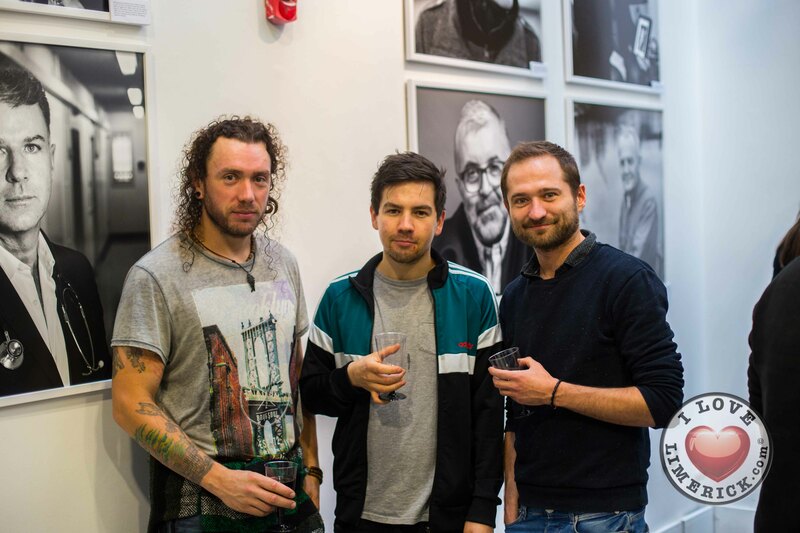 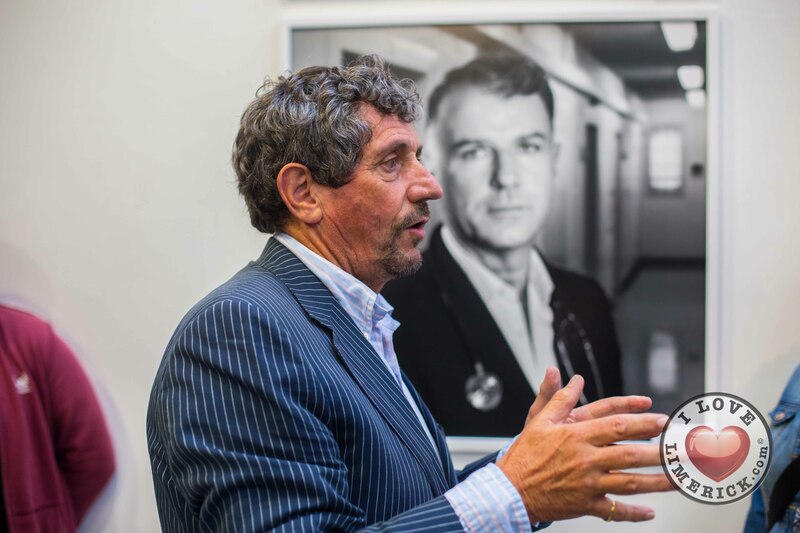 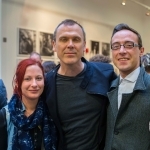 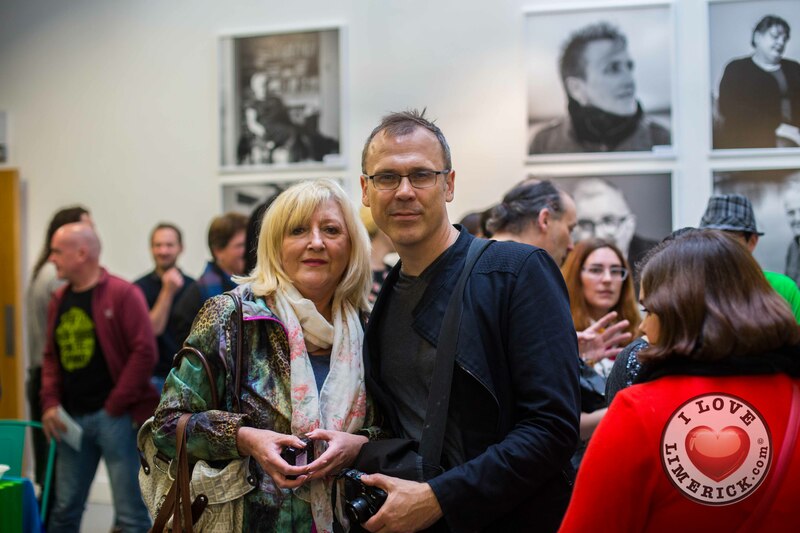 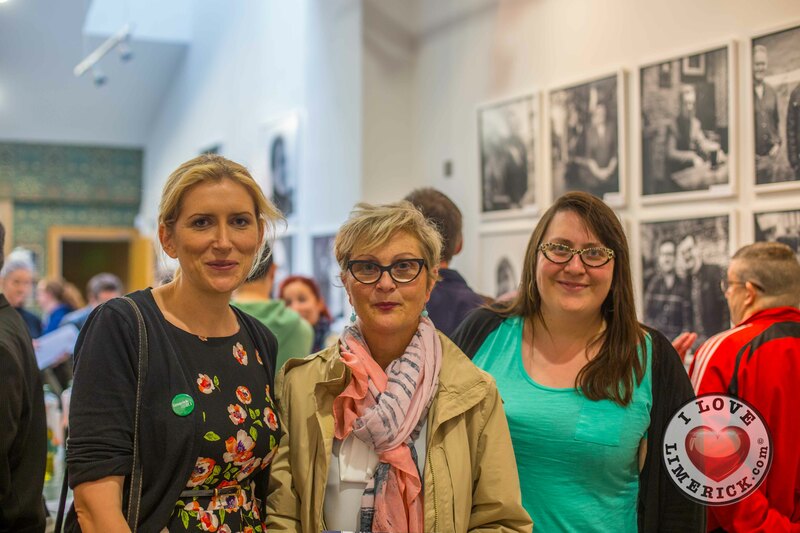 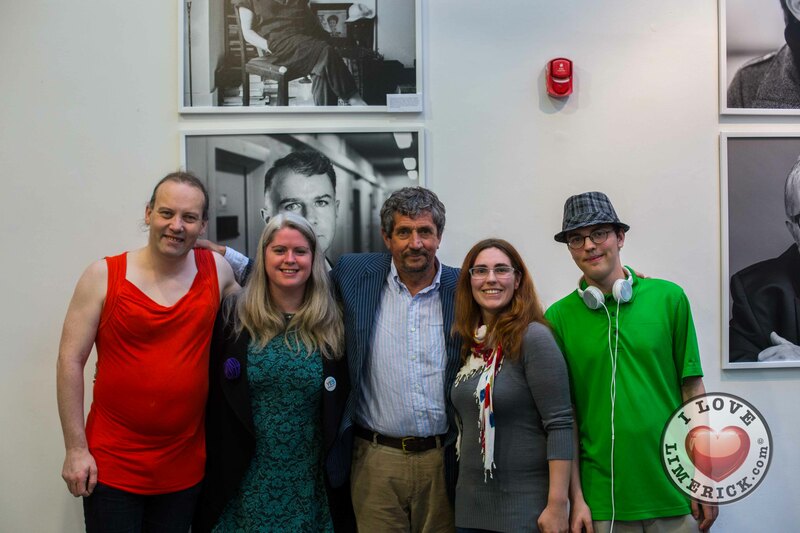 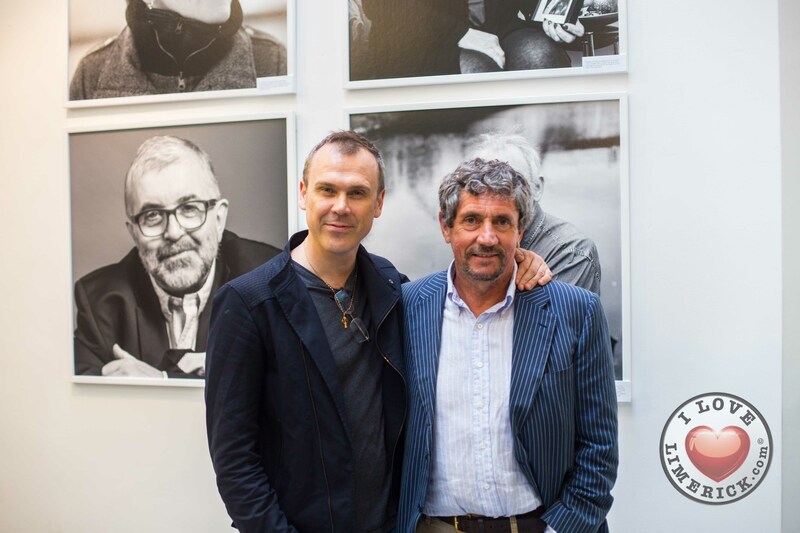 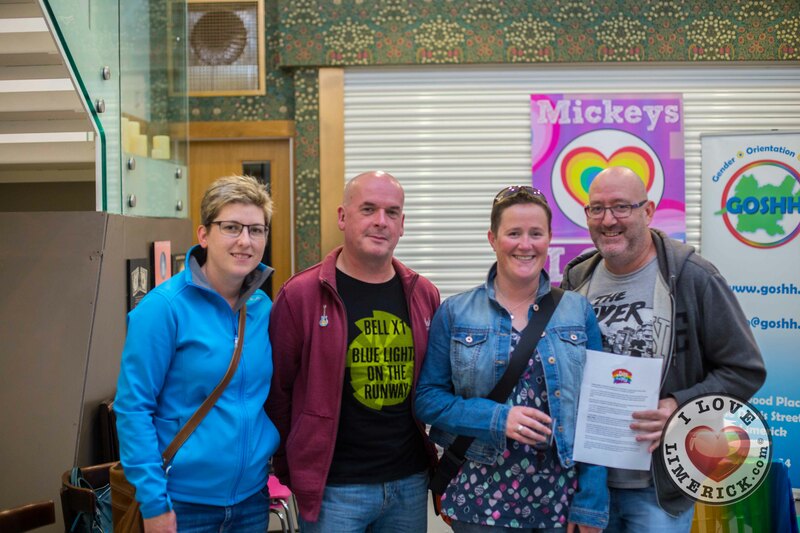 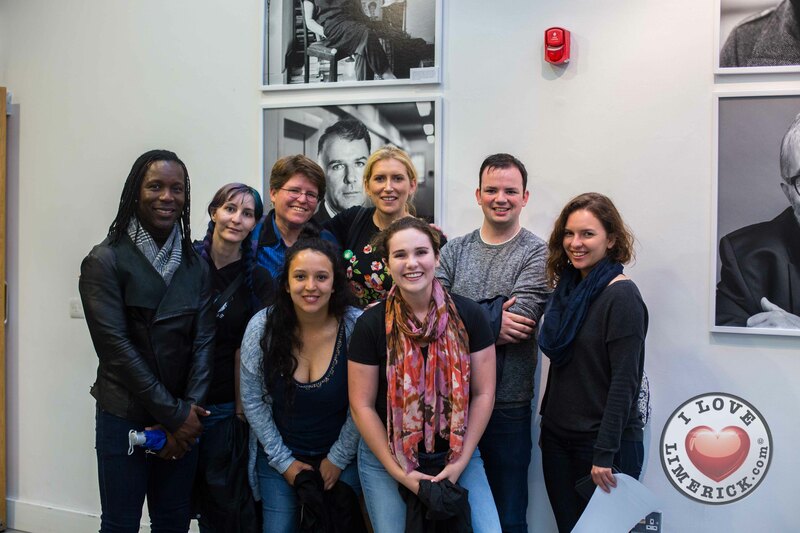 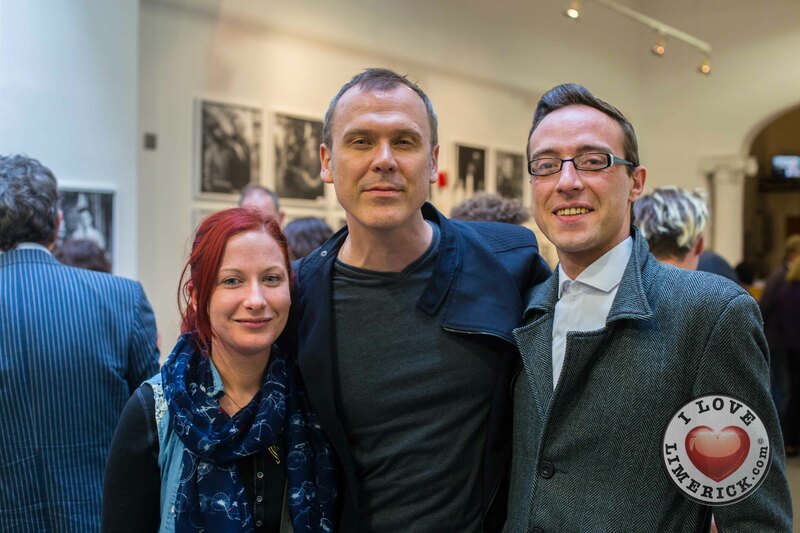 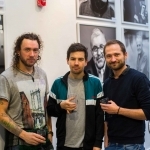 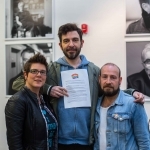 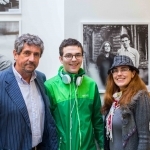 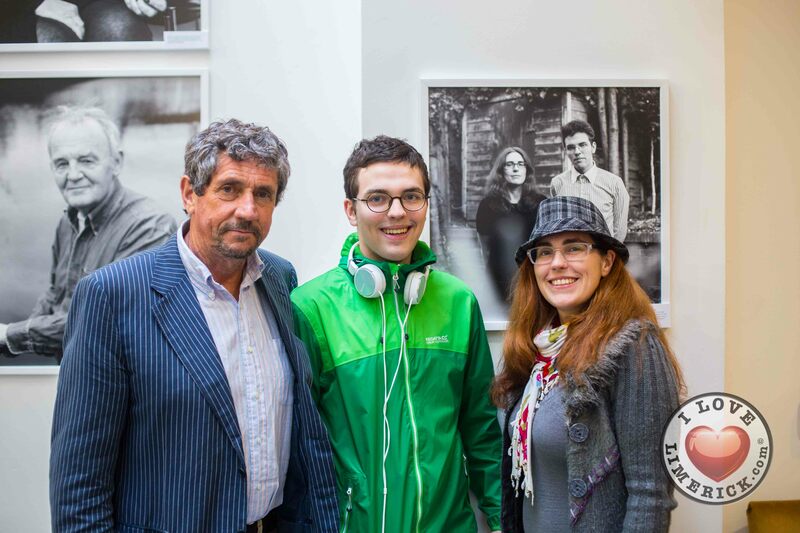 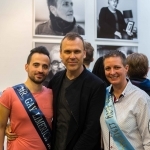 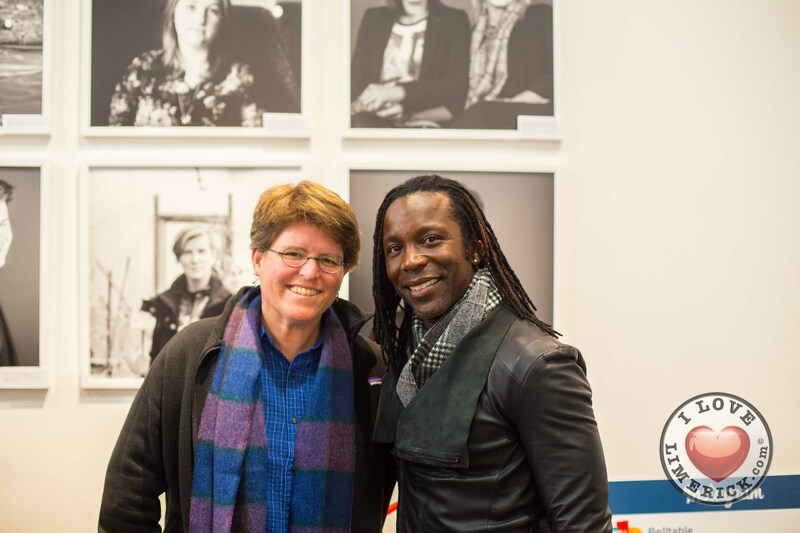 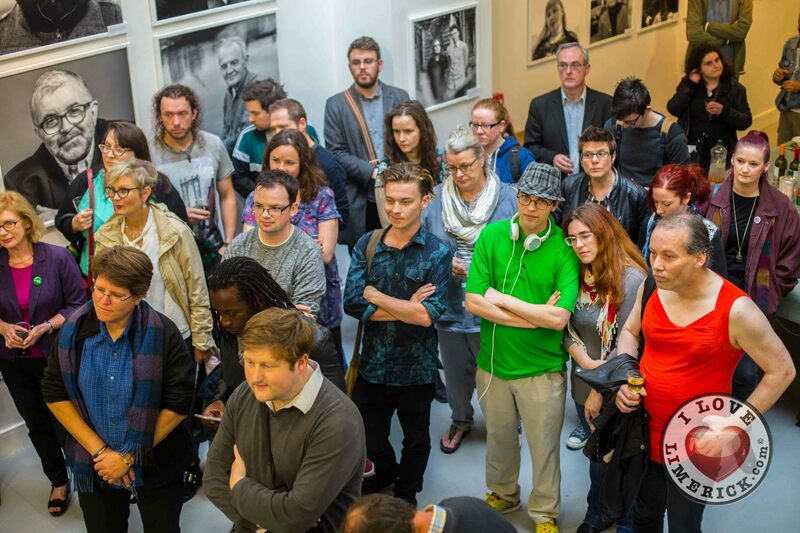 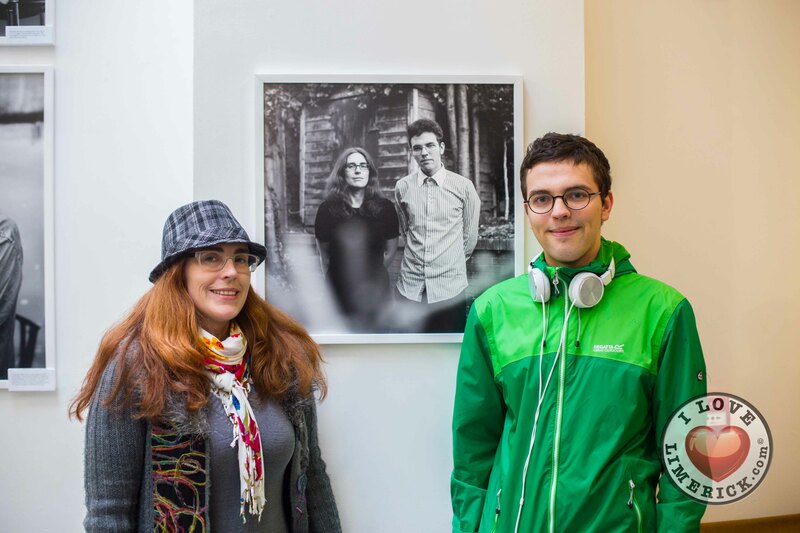 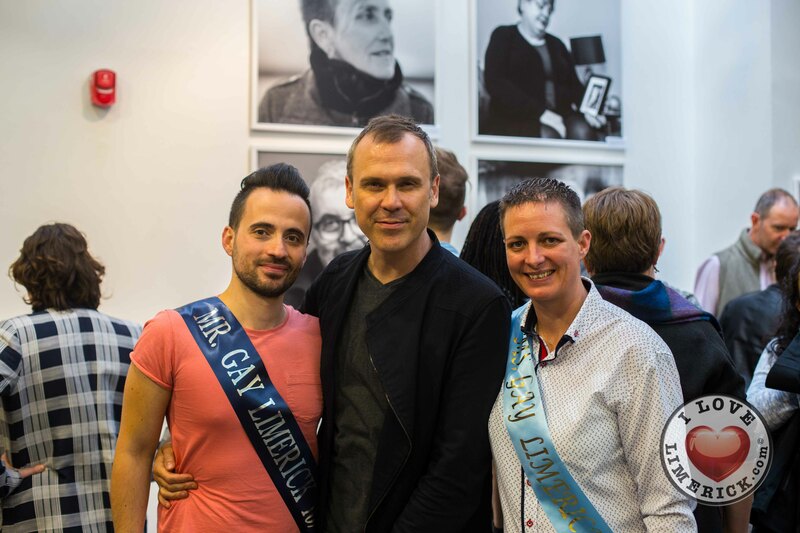 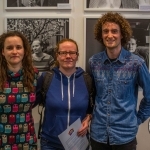 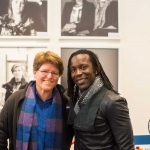 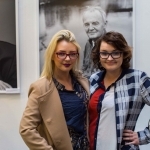 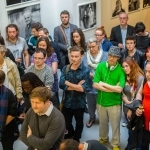 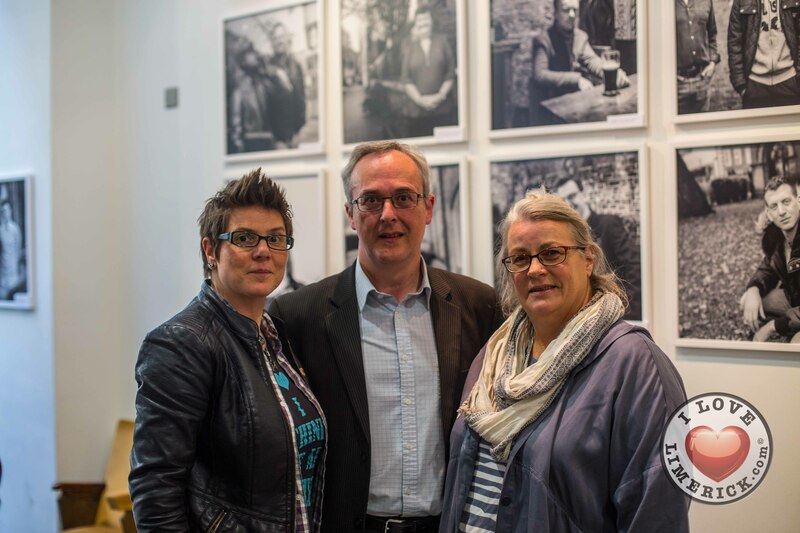 A Day in May photograph exhibition for Limerick LGTBI Pride. 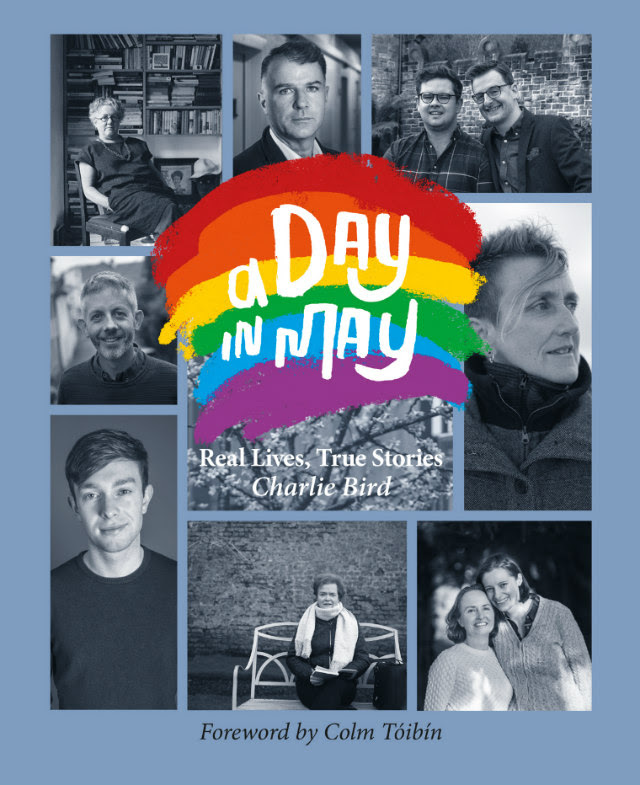 A Day in May. 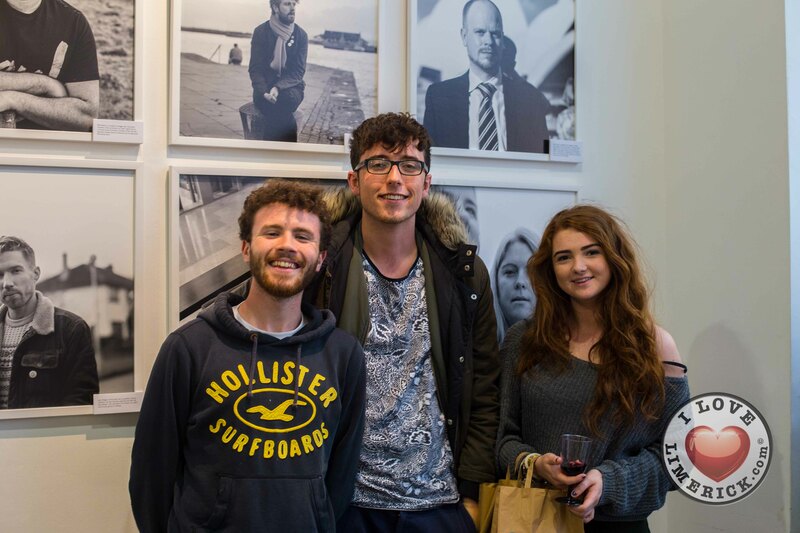 A Day in May photograph exhibition will launch in The Belltable, 69 O’Connell Street on Monday July 11 from 6pm-7.30pm. 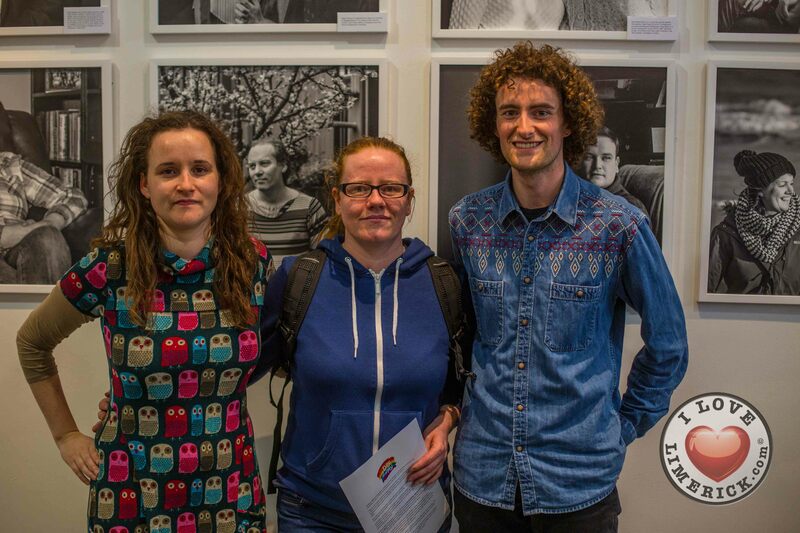 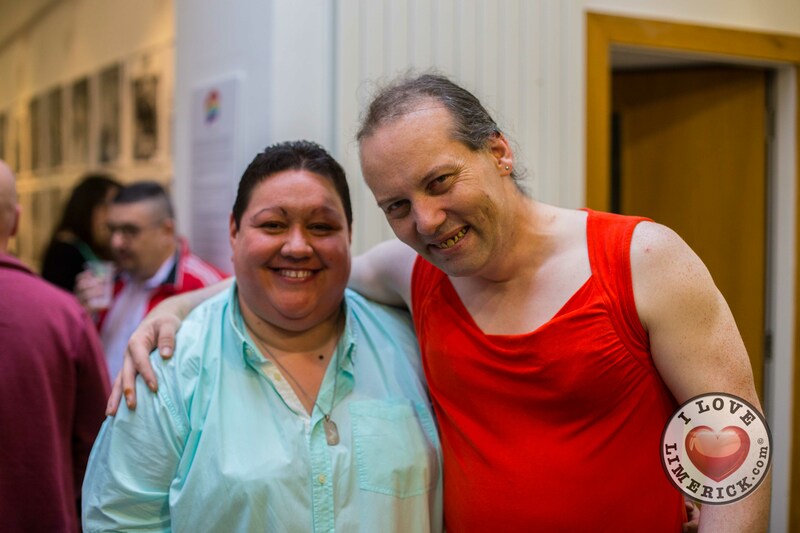 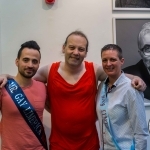 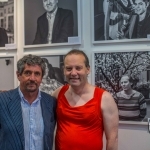 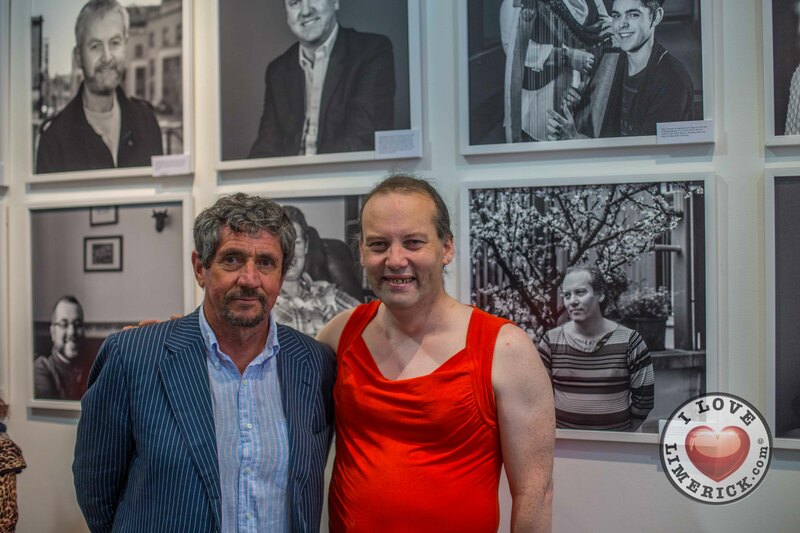 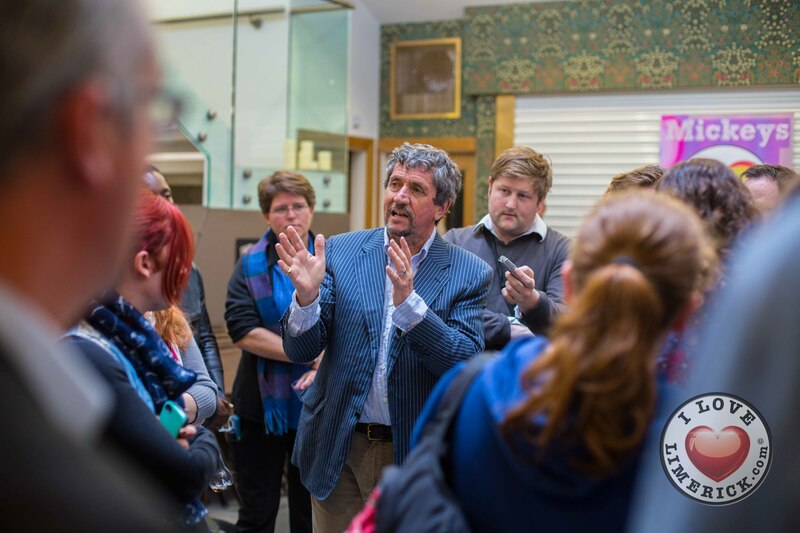 The exhibition will remain open to the public until July 15 to coincide with Limerick LGBTI Pride. 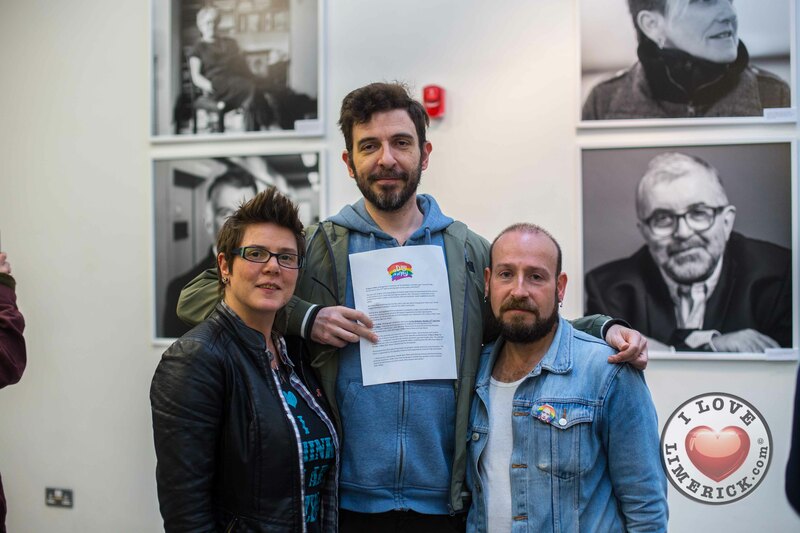 But more than anything else, the May 2015 vote was about changing the ‘Real Lives’ of the largest minority of people in Ireland: the LGBT Community. 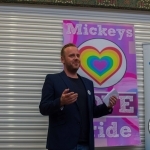 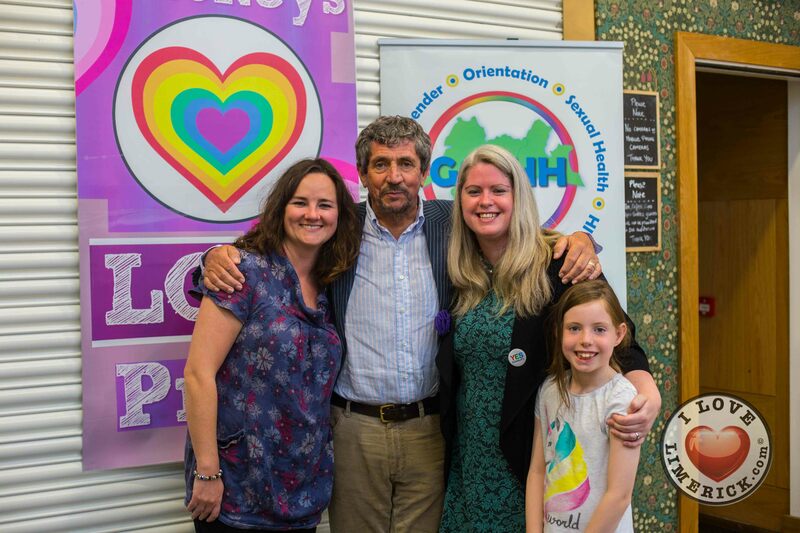 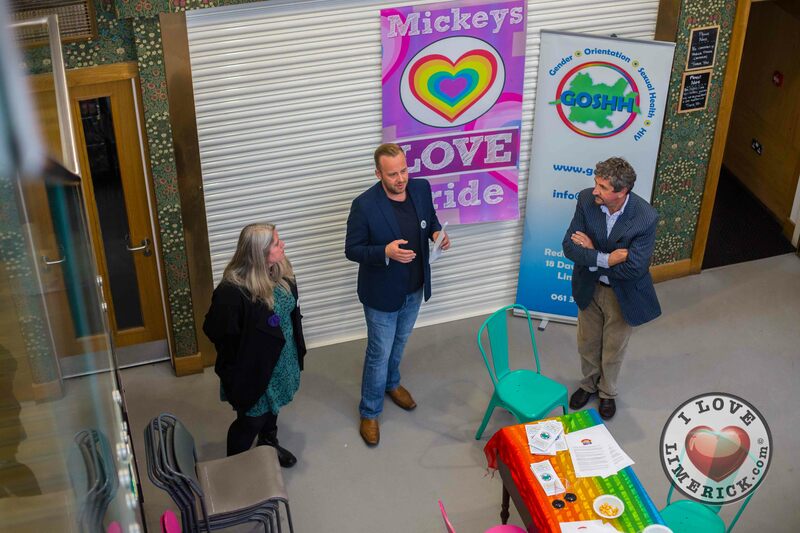 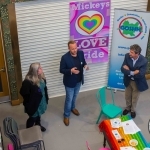 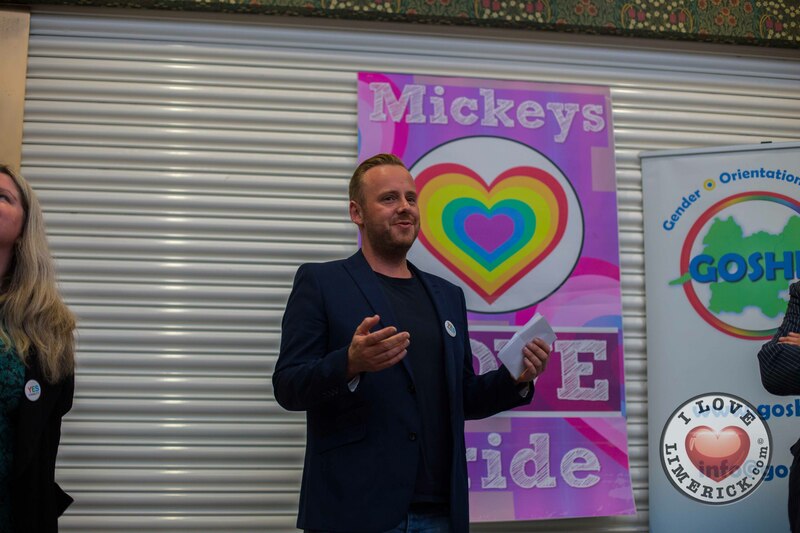 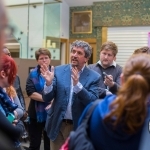 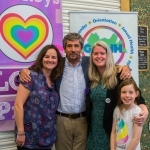 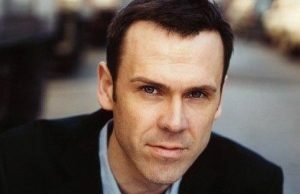 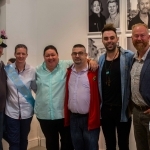 Charlie Bird, distinguished RTE broadcaster traveled the length and breadth of Ireland to record the moving stories of some 80 people impacted by the Marriage Equality referendum. 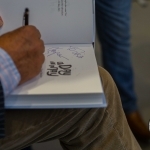 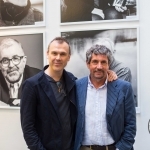 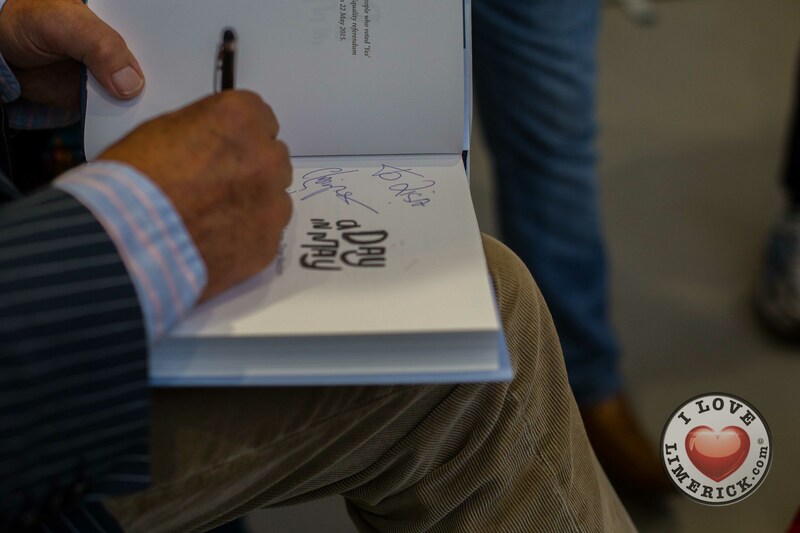 52 stories and personal photographs are combined in the ‘A Day in May’ book published by Merrion Press. 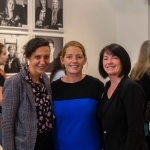 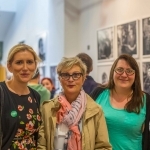 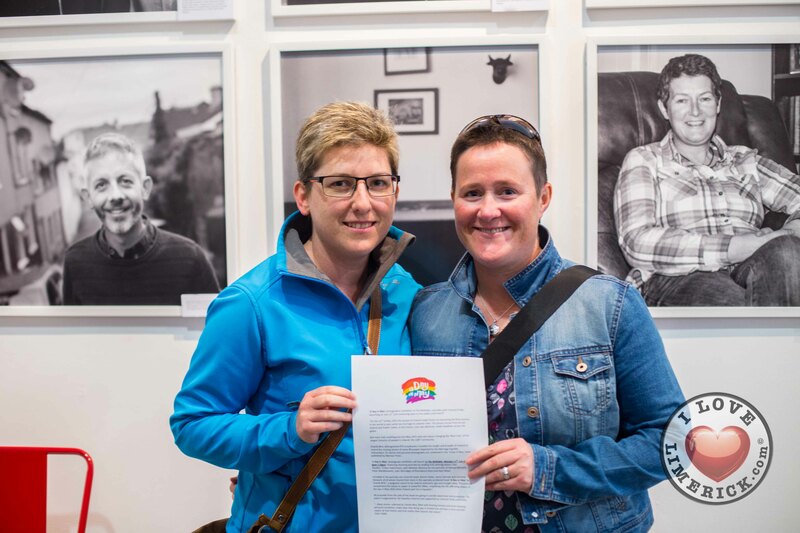 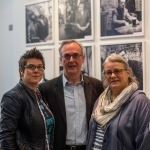 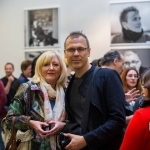 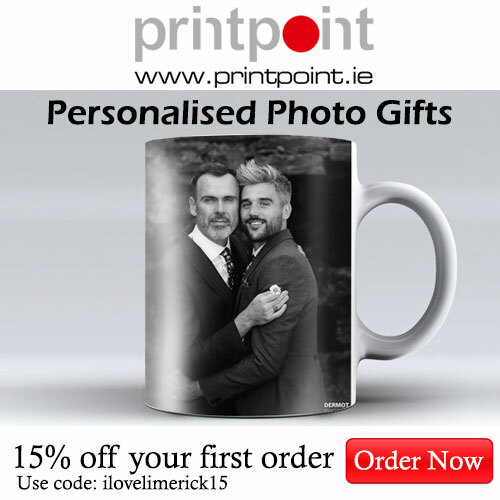 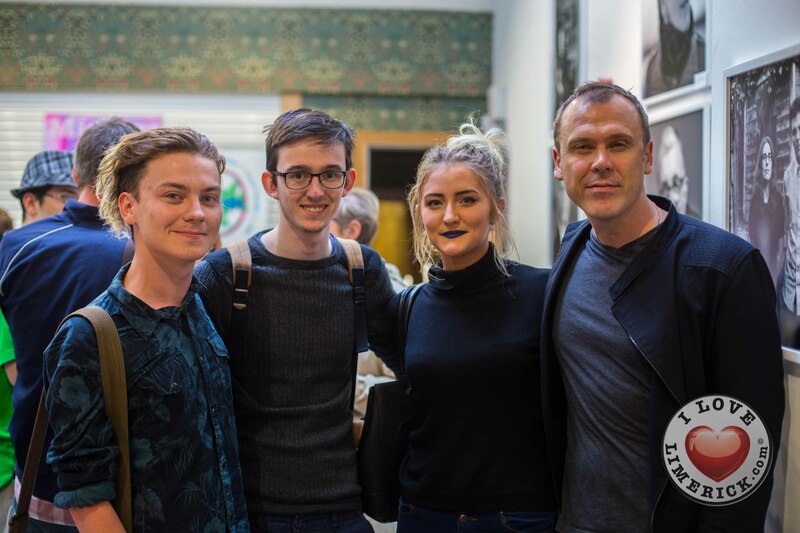 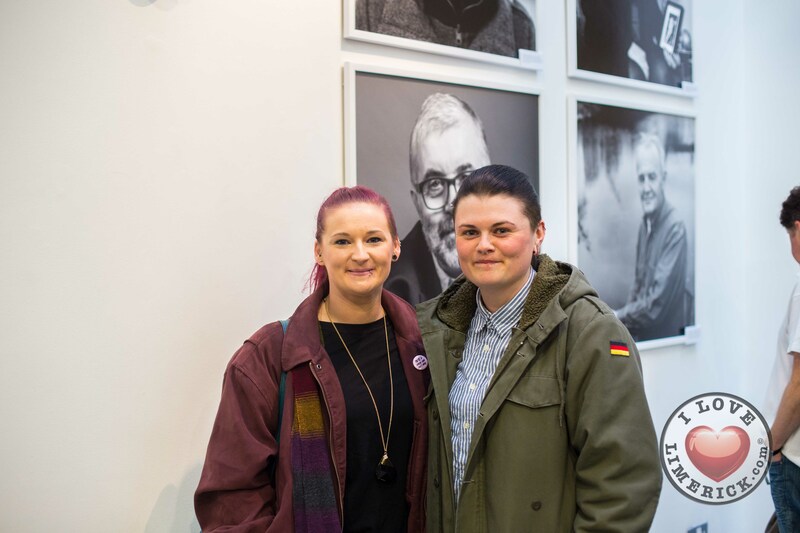 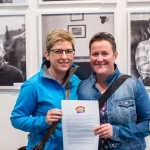 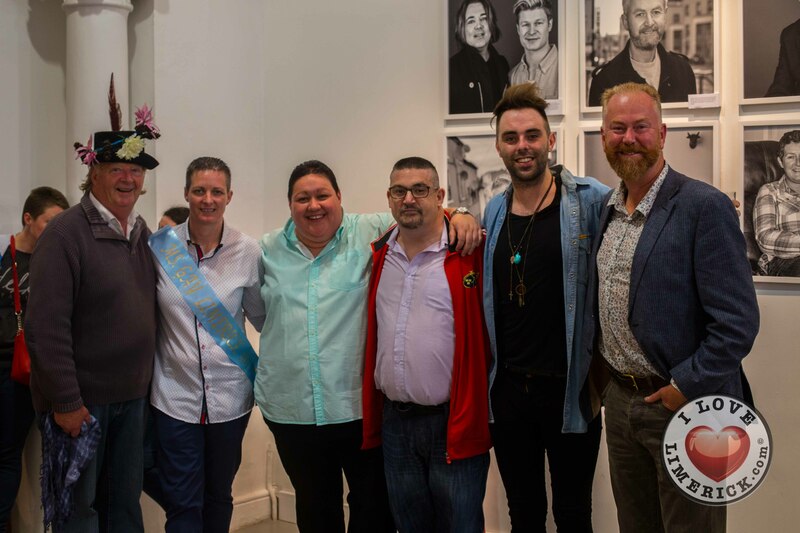 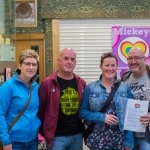 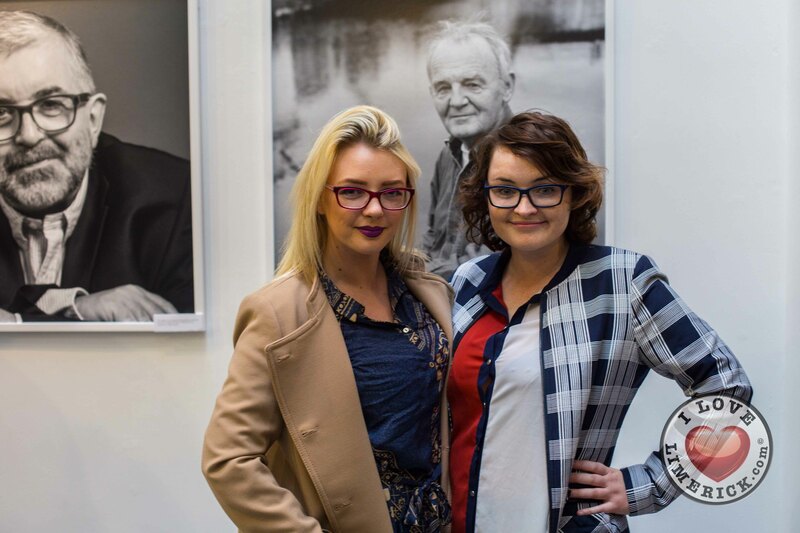 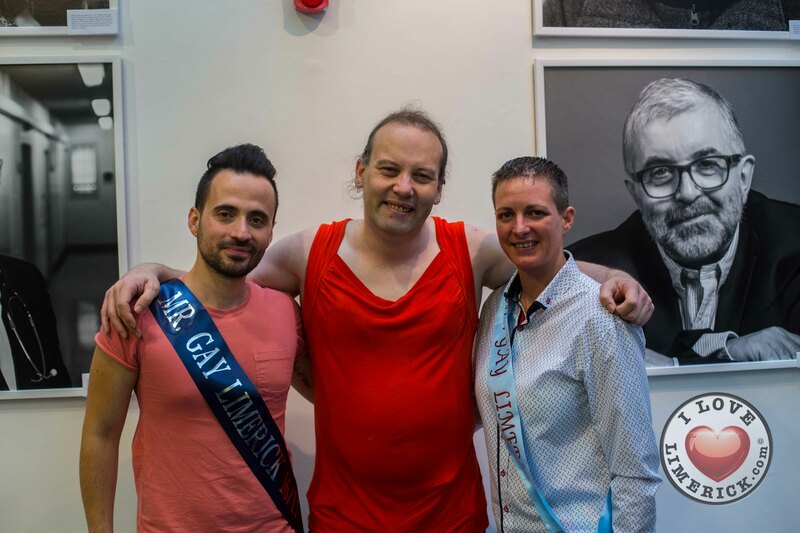 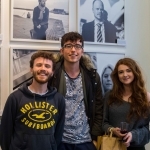 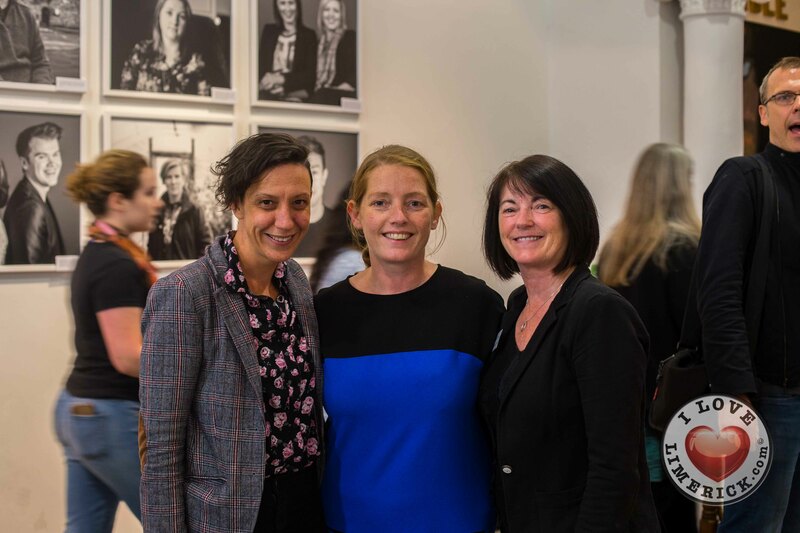 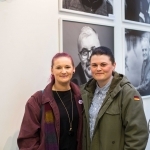 Included in the portraits are Limerick locals Sharon Slater, Jenny Hannon and Caroline Steward, all of whom shared their story in the specially produced book, “A Day In May” by Charlie Bird – a poignant record to be read by everyone, gay and straight alike. 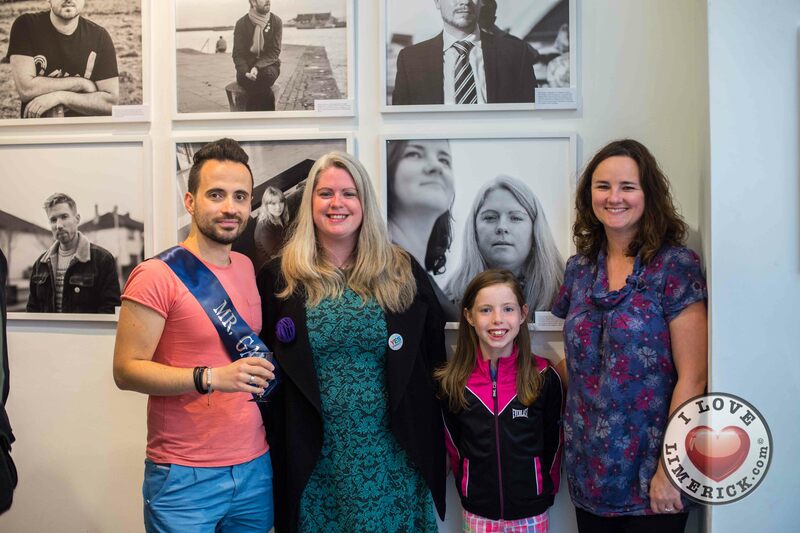 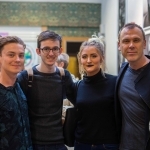 The portraits compliment the voices on paper to powerful effect, amplifying the life-affirming impact of the Day in May 2015 when Ireland said Yes to Equality.